You know sometimes I forget how handy my paint sprayer is! I started painting this project with a paint brush…..
After one coat of paint it looked like this….. The crevices were really hard to get into with a brush. 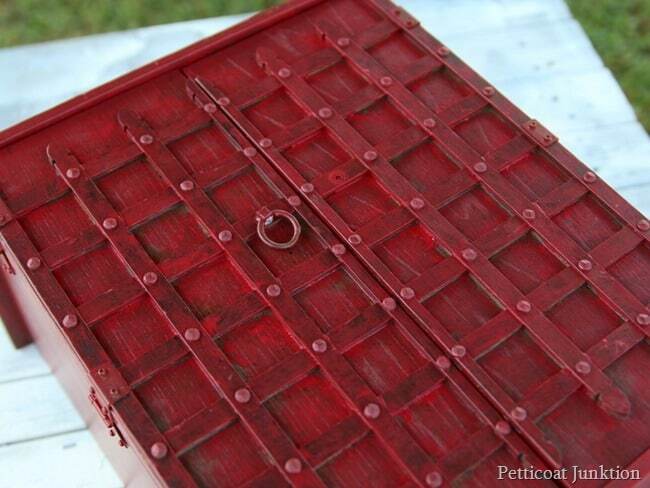 I didn’t want to spend hours painting this piece so I pulled out my HomerRight Finish Max Paint Sprayer. I don’t know why I didn’t think of it before. 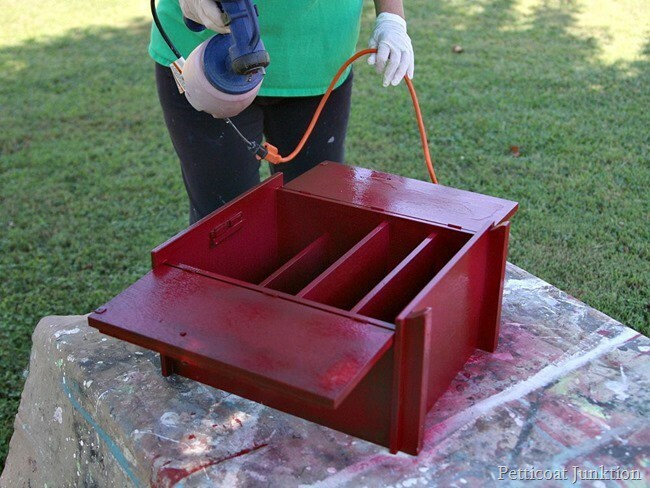 Probably because I only use the paint sprayer for furniture…..until now. I learned my lesson on this one. 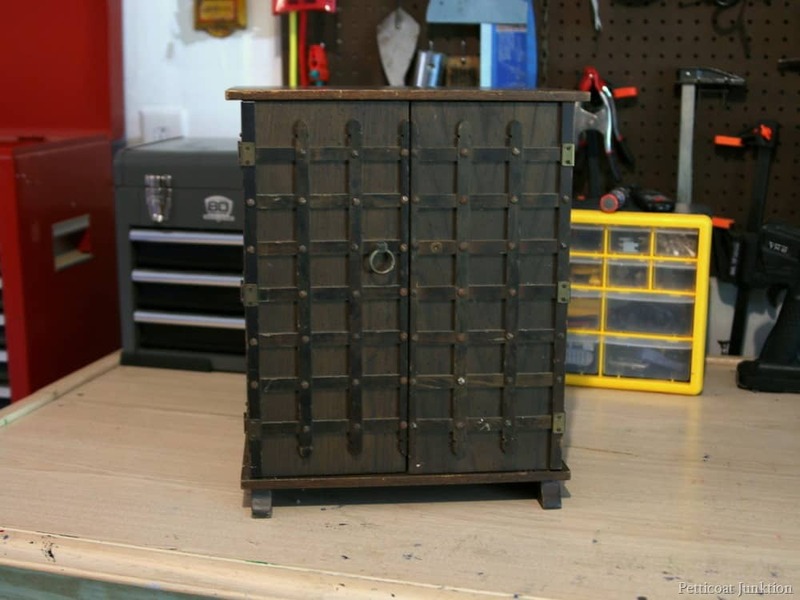 I’ve had this chest for a while. I bought it when I went junk shopping with my friend Beth of Farm Fresh Vintage Finds. We have such fun together. The paint sprayer is easy to operate. 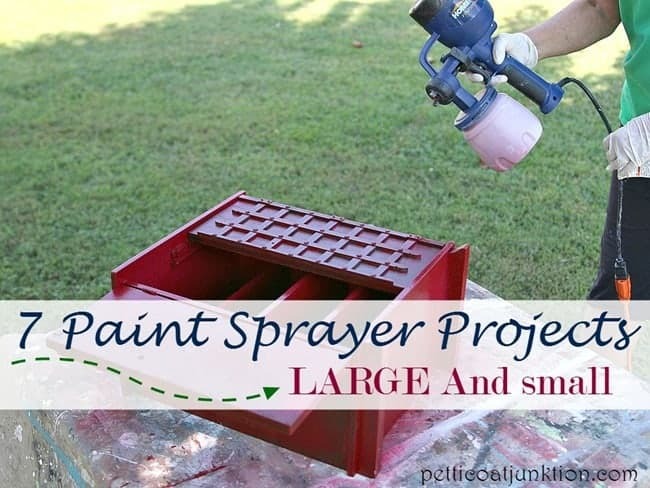 Just fill the white container with paint….water the paint don’t just a bit, screw the paint canister onto the spray gun, plug it in and spray. 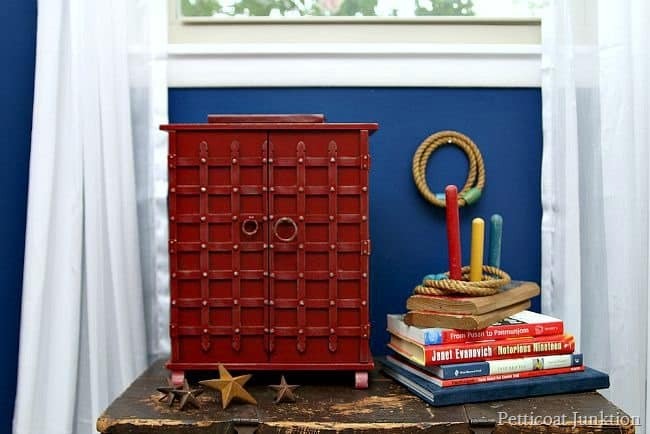 By the way…..the color is Junktion Red! Another reason I decided to use the paint sprayer is because the inside with shelves and all those surfaces and corners are difficult to paint with a brush. 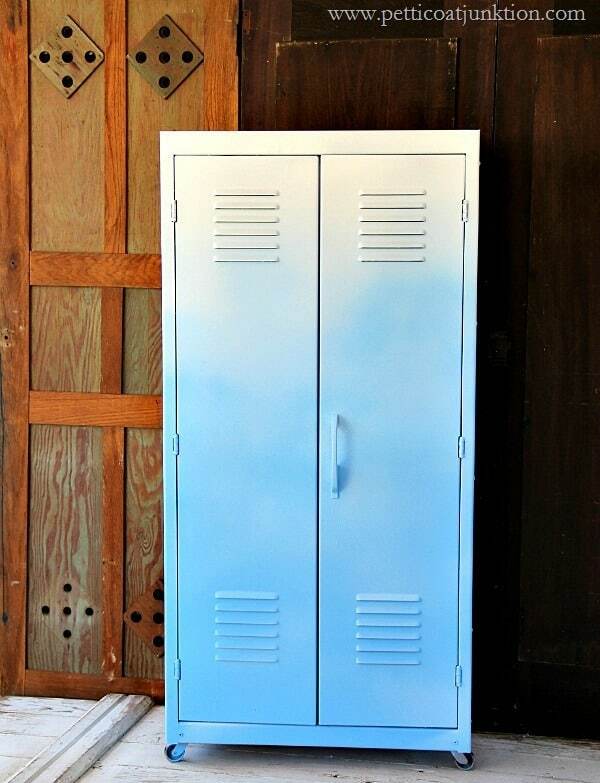 It’s kind-of like painting a bookcase. I really don’t like painting bookcases. Those things have a lot of surface area. The JTS is really getting good with the camera. I distressed all those lovely tacks and strips of wood. I think it looks great. The ring toss is a purchase from the Nashville Flea Market. I’m a sucker for vintage games. I have another project lined up for the Finish Max Sprayer. 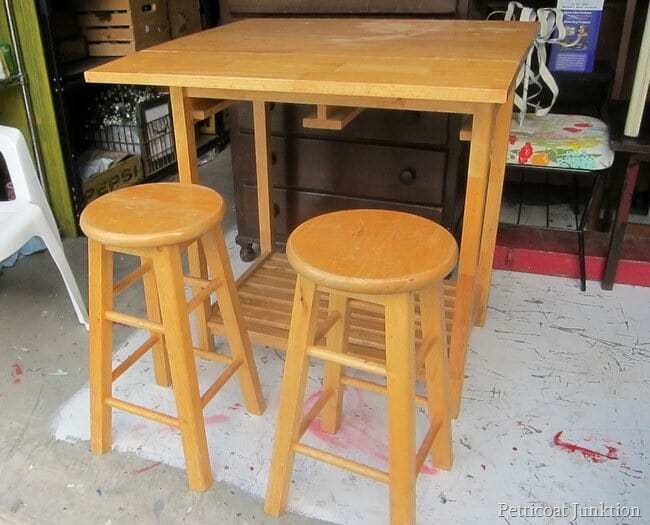 I stopped at a yard sale on the way to Bella Vintage Marketplace and bought this set for $20. I know! I plan to prime it top to bottom and then paint it black. If you missed my other HomeRight paint sprayer projects just click the photo or the “pink link” to see the project details with before and after photos too! Now for the part you guys have been waiting on. 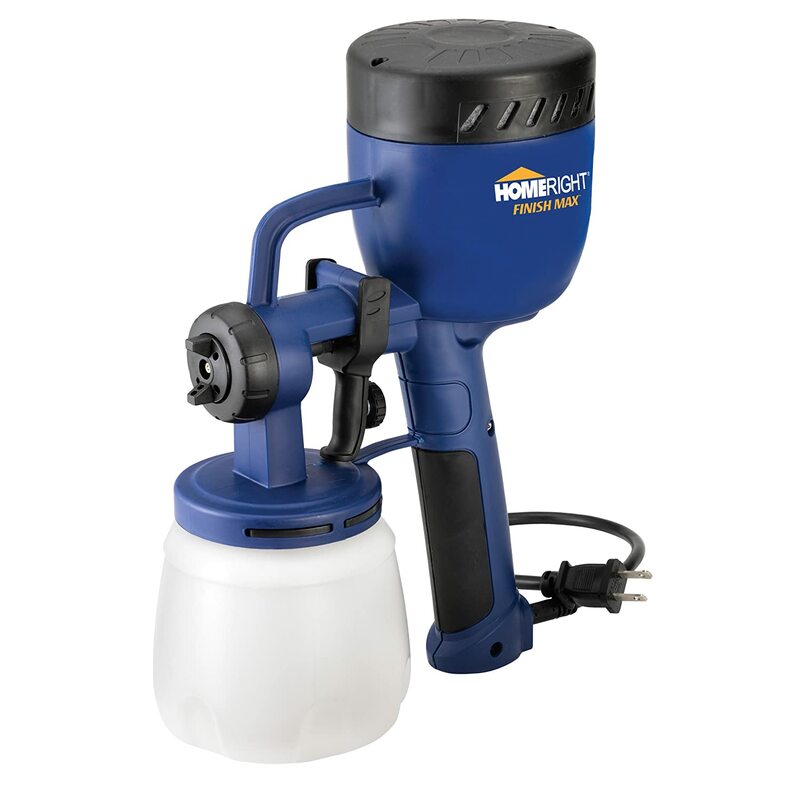 Enter the giveaway for one HomeRight Finish Max Fine Finish Sprayer. You don’t have to like anything or follow anything! You can also enter once a day until the giveaway ends. I will announce the winner the end of next week. Good Luck! Product and compensation were provided by HomeRight. All opinions are my own. Giveaway closes September 10, 2015 at midnight CDT. Open to US residents 18+ older, void where prohibited. Winner will be chosen at random and contacted via email. « Bella Vintage Marketplace | Have You Been? Sept 10th 2015 hasn’t hit midnight yet. HomeRight’s Facebook page said this ends tonight. Oh well, good luck everyone! Is this where we enter ? HI Kathy~ Thank you for sharing this giveaway and your projects are beautiful. 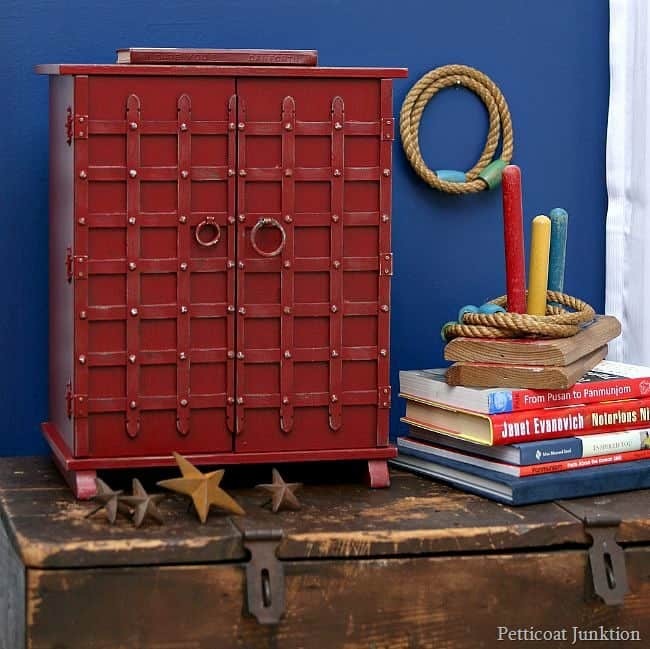 I will be looking for to your new paint color Junktion Red. 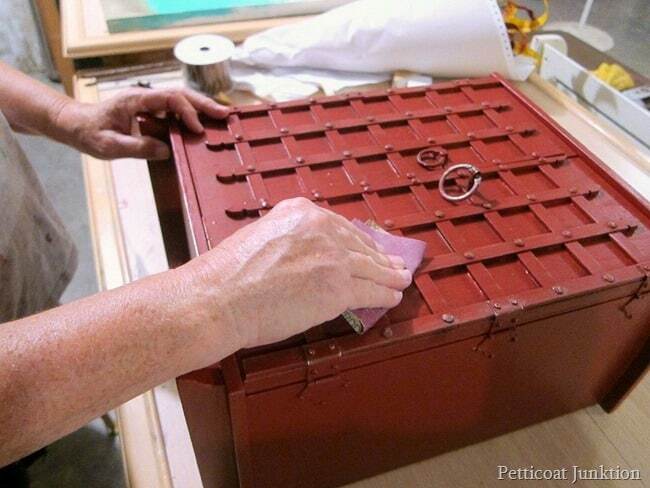 Your outcome on your projects with the sprayer is fantastic. You make it look so simple. HomeRight here I come (after I win!!!) Need to do soooo many projects and spray cans ain’t where it’s at!!! I have soooo many projects lined up, just finished a dining set that I did with a brush, that I sold, but I seriously NEED a sprayer. 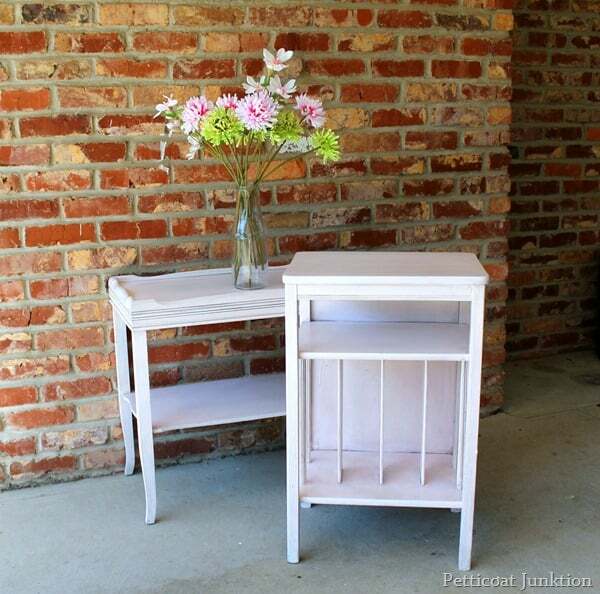 Current paint projects in my garage: 2 bookcases to entryway drop spot, 2 dining buffets to dressers for my girls, a hutch to tv stand, paint the piano, tables, a rocking chair. I love the chest and the color choice. Your projects are just wonderful! 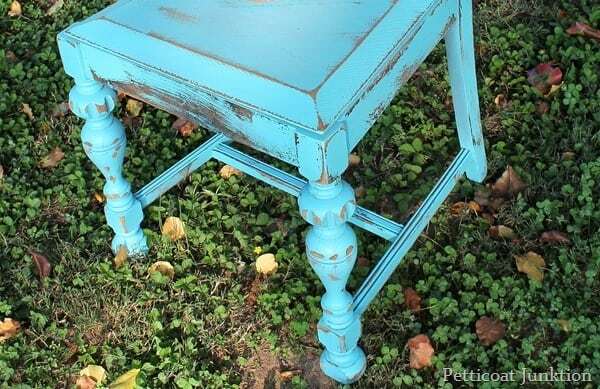 I especially love the last project table in the turquoise color paint then distressed. So many cute nooks or corners it could be used for in decor. Enjoyed this post throughly and love your blogs name! Have fun with your #diy’s and I look forward to you post to flow through my inbox on subscription. Thank you for the chance to win this paint sprayer. Sure could use it on several projects waiting on me. I already have a HomeRight Paint Sprayer (that I love) but wanted to comment on all your gorgeous sprayed pieces. Doesn’t it make the job so much easier!!! I used the air nozzle attachment on mine to clean out between the keys on my laptop – worked like a charm! Love-love your yellow set. It’s such a bright color, and makes me smile just looking at it. Beautiful work! Wish I had that sprayer or lived where I could come and ‘play’ with you!! Thanks! 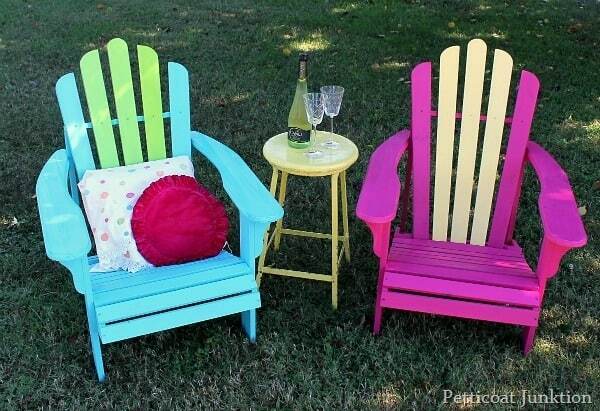 Really like the cloth seat on the yellow chair! I neeeeeeed one!!! I buy spray paint and they clog (even the good kind!) and there you are with money spent and time trying to unclog it!!! 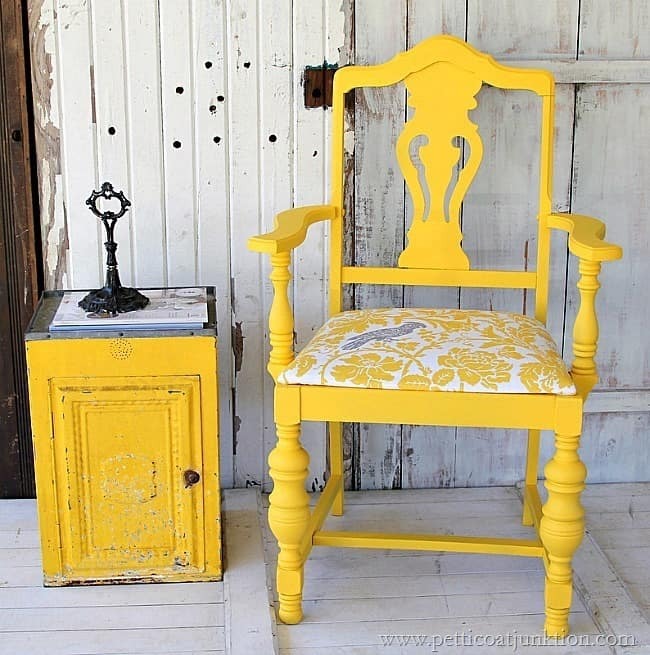 I meant to say yellow chair. That yellow is absolutely beautiful. I need two of those lol. Love your stuff. Does yellow sell well?